Stephanie is a Lecturer in Nutrition in the School of Medical and Health Sciences. Her current research projects include food security, regional and remote child nutrition and healthy built food environments. Dr Stephanie Godrich is a Registered Public Health Nutritionist with both the Nutrition Society of Australia and the World Public Health Nutrition Association. Over the past 12 years, she has developed, delivered and evaluated numerous community-based food literacy programs, with multiple population groups through not-for-profit organisations. Her on-the-ground practitioner experience in rural and remote Western Australia led to the development of an award-winning partnership model, to enhance the efficacy of geographically expansive food literacy programs. Stephanie has also worked in the university sector in lecturing and/or research positions at ECU, Curtin and the University of Western Australia. She also works independently as a public health consultant to government and non-government organisations. Stephanie’s PhD focused on food security, fruit and vegetable consumption among children living in rural and remote communities. Dr Godrich is currently working with cross-sector stakeholders in fields such as food production, nutrition and dietetics, town planning, community development, social work and education to take a systems thinking approach to addressing food insecurity. Her other current research areas include healthy built food environments, supporting local food production and purchasing and cognitive impacts of food insecurity. 2016 – Public Health Association of Australia (PHAA) WA Branch Scholarship to attend PHAA 44th Annual Conference and 20th Chronic Diseases Network Conference, Alice Springs, Northern Territory. 2015 – Healthway Health Promotion Research Training Scholarship (PhD), 2015-2016. 2014 – State Winner (Foodbank WA role): WA Health Excellence Awards, ‘Overcoming Inequities’ category, (Department of Health). 2014 – State Finalist (Foodbank WA role): Community Service Excellence Awards, ‘Partnerships’ category (Department of Local Government and Communities and WA Council of Social Services). 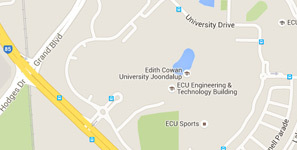 Bachelor of Health Science Major in Nutrition, Edith Cowan University, 2006. Pathway to healthy food environments: a guide for local governments in Western Australia, Healthway (WA Health Promotion Foundation), Healthway - Grant, 2018 - 2021, $710,084. Godrich, S., Loewen, O., Blanchet, R., Willows, N., Veugelers, P., (2019), Canadian Children from Food Insecure Households Experience Low Self-Esteem and Self-Efficacy for Healthy Lifestyle Choices. Nutrients, 11(3), 1-12, Switzerland, DOI: 10.3390/nu11030675. Godrich, S., Payet, J., Brealey, D., Edmunds, M., Stoneham, M., Devine, A., (2019), South West Food Community: A Place-Based Pilot Study to Understand the Food Security System. Nutrients, 11(4), Article number 738, DOI: 10.3390/nu11040738. Godrich, S., Davies, C., Darby, J., Devine, A., (2018), Strategies to Address the Complex Challenge of Improving Regional and Remote Children’s Fruit and Vegetable Consumption. Nutrients, 10(11), article no.1603, DOI: 10.3390/nu10111603. Godrich, S., Lo, J., Davies, C., Darby, J., Devine, A., (2017), Are regional and remote Western Australian children eating for good health? An investigation into fruit and vegetable consumption. Health Promotion Journal of Australia, 28(3), 233-237, West Sussex, United Kingdom, John Wiley & Sons, DOI: 10.1071/HE16090. Godrich, S., Davies, C., Darby, J., Devine, A., (2017), What are the determinants of food security among regional and remote Western Australian children?. Australian and New Zealand Journal of Public Health, 41(2), 172-177, Public Health Association of Australia, DOI: 10.1111/1753-6405.12636. Godrich, S., Lo, J., Davies, C., Darby, J., Devine, A., (2017), Which Food Security Determinants Predict Adequate Vegetable Consumption among Rural Western Australian Children?. International Journal of Environmental Research and Public Health, 14(1), article no.40, MDPI, DOI: 10.3390/ijerph14010040. Godrich, S., Lo, J., Davies, C., Darby, J., Devine, A., (2017), Prevalence and socio-demographic predictors of food insecurity among regional and remote Western Australian children. Australian and New Zealand Journal of Public Health, 41(6), 585-590, Richmond, Victoria, Wiley-Blackwell Publishing Asia, DOI: 10.1111/1753-6405.12716. Godrich, S., Davies, C., Darby, J., Devine, A., (2016), Which ecological determinants influence Australian children's fruit and vegetable consumption?. Health Promotion International, 2016(19 August), 10p., DOI: 10.1093/heapro/daw063. Butcher, L., Chester, M., Aberle, L., Bobongie, V., Davies, C., Godrich, S., Milligan, R., Tartaglia, J., Thorne, L., Begley, A., (2014), Foodbank of Western Australia's healthy food for all. British Food Journal, 116(9), 1490-1505, United Kingdom, Emerald Group Publishing Ltd., DOI: 10.1108/BFJ-01-2014-0041.